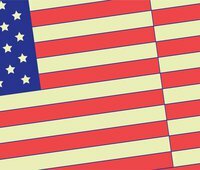 Recent data suggest that American schools are more linguistically diverse now than ever before: In 2011, nearly 22 percent of American PreK–12 students spoke a language other than English at home; in 2013, one in three Head Start participants was classified as a “dual language learner” (DLL). Despite these sizeable demographic shifts, few states have designed coherent policies to serve DLLs well. New America senior researcher Conor P. Williams recently conducted a scan of policies in all 50 states and DC to find out how states determined when to “exit” dual-language learners from services to help them learn English. His findings? Chaos. Policies vary widely by state, and almost none follow the latest science on how young children learn a second language. Williams recommends changes at the federal, state, and local level to better support these students. His research also shows that federal funding has dropped while numbers of children in non-English households continues to grow. Today those children number more than 12 million. The report focuses on the considerable interstate divergence in dual language learners’ “reclassification” policies. These are the rules states use for determining when a DLL no longer needs formal language support services. These rules also determine which students will receive which content instruction, in-class assistance, and assessment accommodations. Research suggests that young DLLs (generally students 8 years old or younger) are still developing in their home language even as they begin the process of learning English — a challenge that is critically different than the process followed by older language learning students. Unfortunately, few states’ reclassification policies are tailored to suit young DLLs’ linguistic and academic needs. Since the rules governing reclassification influence the rest of each state’s approach to language supports for DLLs, interstate variance on these leads to widely varying systems for educating these students. Given research showing that DLLs families move relatively frequently, interstate variety in reclassification rules can lead to disruptions in these students’ educations. Most states’ reclassification rules appear to be both arbitrary and inconsistent with recent research on what these students need. The variation in states’ reclassification policies undermines the validity, credibility, and comparability of accountability systems — a student who would be treated as a DLL in Maine could be reclassified and treated as a “former DLL” in New Hampshire. There are several efforts underway to improve states’ reclassification policies and bring them into harmony with one another, but it remains unclear how much states will be willing to cooperate. 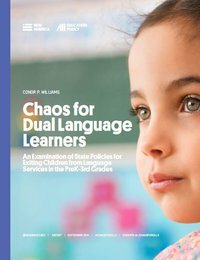 The report features a 50-state scan capturing the wide variety in states’ reclassification policies, a discussion of the current state of research on DLLs’ linguistic and academic development, and a set of recommendations for improving the policies that govern DLLs’ education in the United States.